You might know that I have oily skin, I mentioned this quite sometimes so far. It's not as bad as before I know how to treat my skin well. I would say that my skin is more like combination to oily type now. Even though I am getting oily quite easy during the day, it doesn't means I don't need to moisturise my skin. You need to always keep in mind that "Oily" and "Moist" is two different thing. Oily is about the excessed oil that your skin produced, Moist is about keep your skin hydrated. 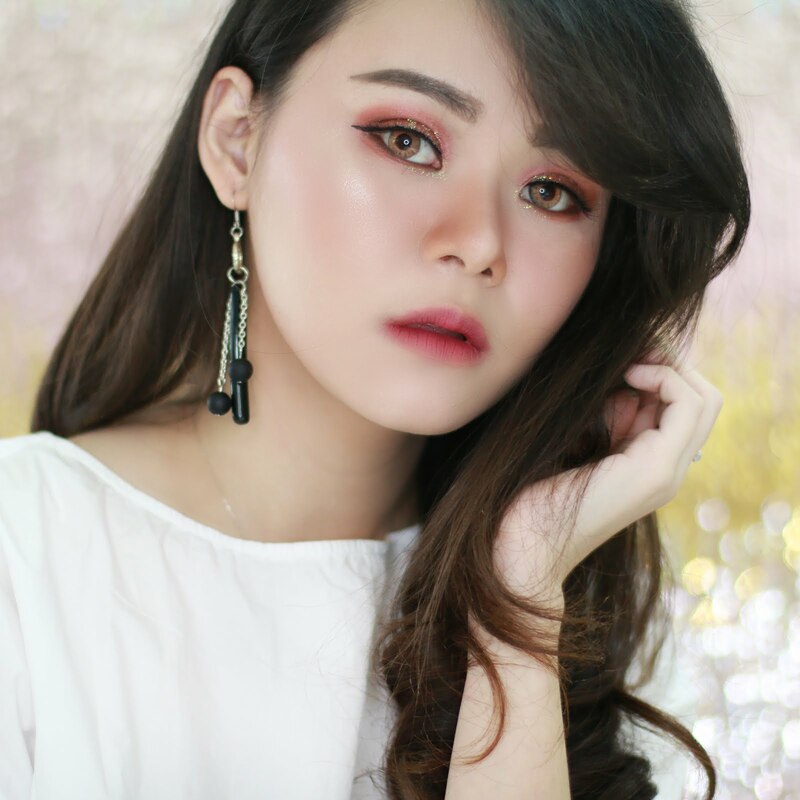 Some people can have oily but dehydrated skin, and it's really not good for the skin. Keep your skin hydrated is so important to make it supple and prevent premature aging. If you have oily skin like me, I suggest you to use gel texture moisturizer. Gel texture moisturizer have light and less-creamy texture that is easily absorbed. 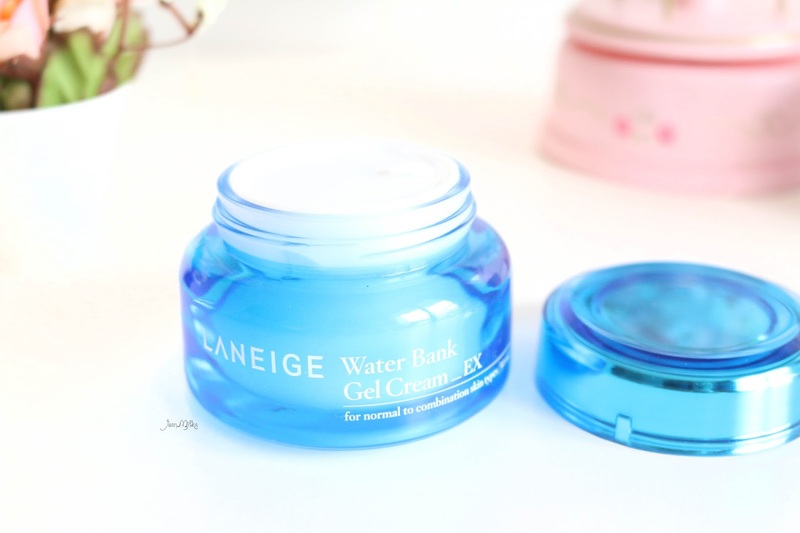 One of my current favorite moisturizer is Laneige Water Bank Gel Cream_EX. 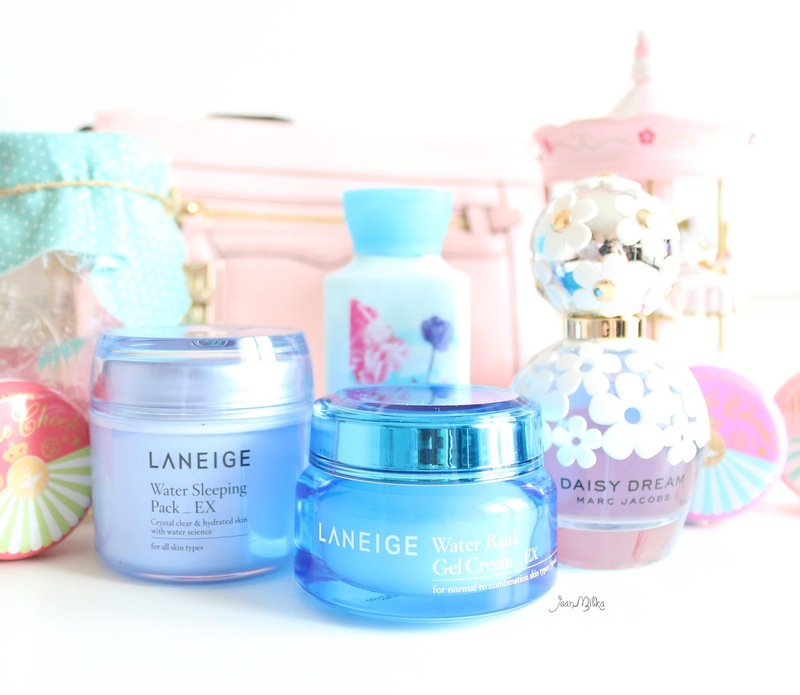 Laneige is well known for their water bank skin care series that contained Hydro Ion-Mineral Water. This "Optimal Mineral Water" ingredient claims to be able cool down your skin while supplying moisture. 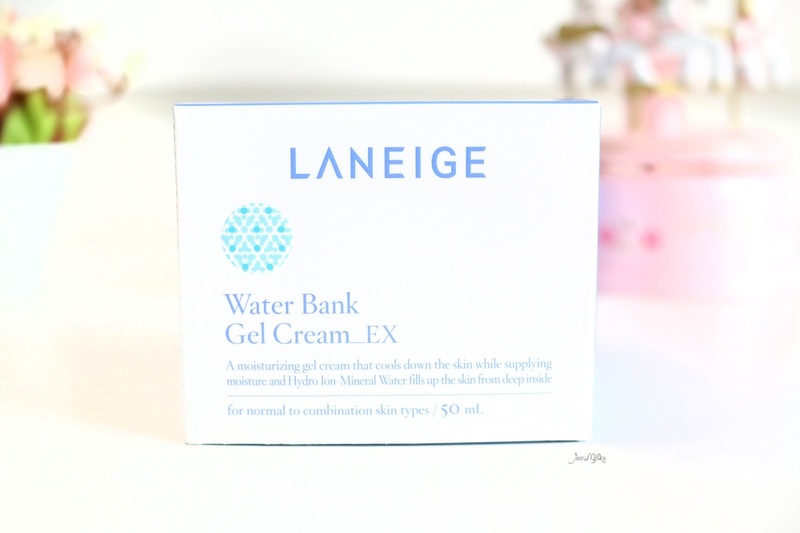 Lanige Water Bank Gel Cream _EX is specially made for normal to combination skin. 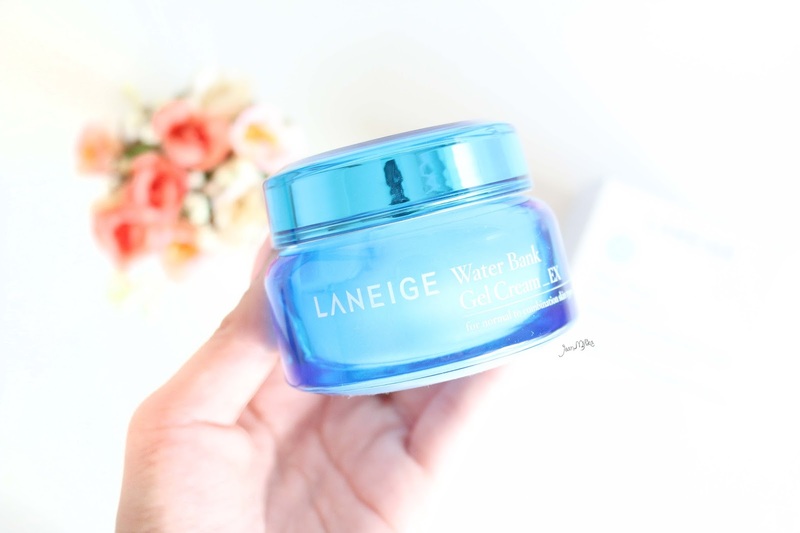 If you have dry skin, Laneige also made this version of moisurizer for normal to dry skin called Water Bank Moisture Cream. This is the second product I tried from this skin care series. I had try their best seller Water Sleeping Pack_EX before and I really love it. This product came in a crystal-blue glass jar packaging. The glass packing is bulky and space consuming. Even though the glass is very sturdy (I dropped it before but it doesn't leave any scratch) It's really not travel friendly. It came with a transparent spatula that eventually I never use :P #Lazy. I don't like this kind of packing since it could be unhygienic. Once you open the jar, you immediately compromise the stability of the formula. You can visualise their benefits disappearing like puffs of air each time you open that lid. 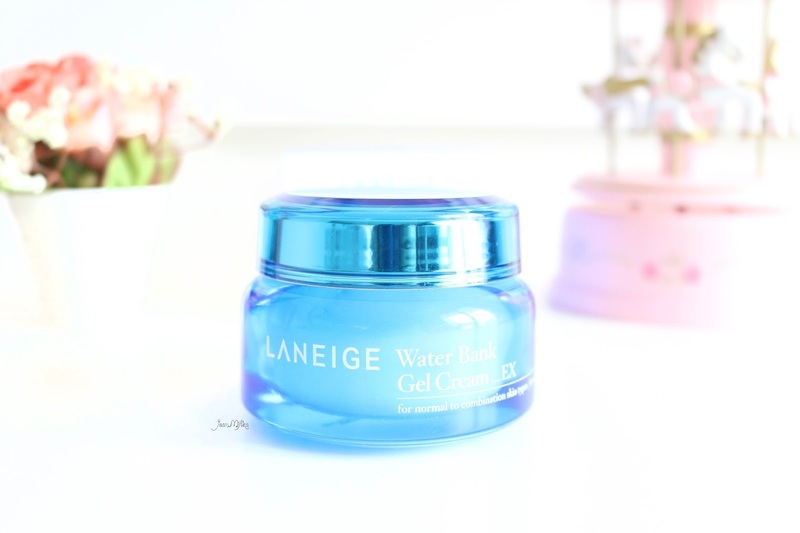 Laneige Water Bank Gel Cream_EX have light gel consistency with semi transparent hue. It's easily absorbed by skin and don't leave any sticky feeling. It contain a high amount of fragrance and have very strong scents. I actually really love the scents but It might cause irritation for sensitive skin. I strongly suggest you to test this product on your jaw line at the first few days before applying it all over your face. It give me a fresh, cooling sensation during the first few seconds. I really like this product but I am not sure if the ingredients is safe for the skin. Highly fragranced formula, also the cooling sensation might comes from the ingredients that is harmful for you skin. It claims to keep your skin hydrated from deep within. I've been using this for about 5 months now, and it does make my skin more supple and feels bouncy. On the night when I am using it along with the Water Sleeping Pack_EX, I woke up with baby skin kind of feeling ^^. 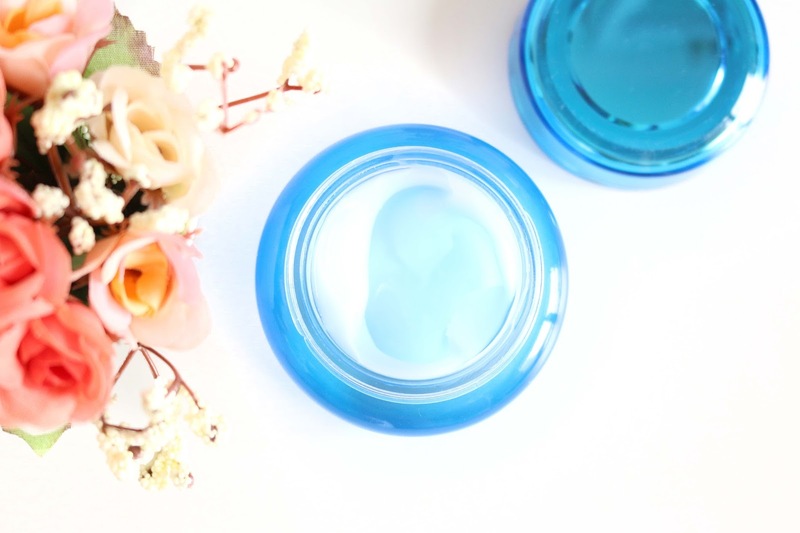 Readers : Have you ever tried Laneige product? What is your favorite product from this brand? 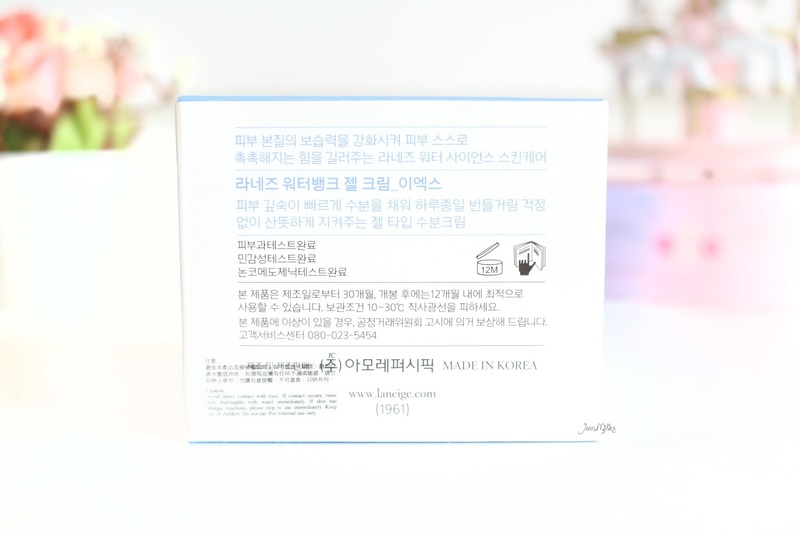 8 komentar on "Supple Skin with Laneige Water Bank Gel Cream_EX"
I am willing to bet this is an amazing product. I wish it were available to me. Great Post.